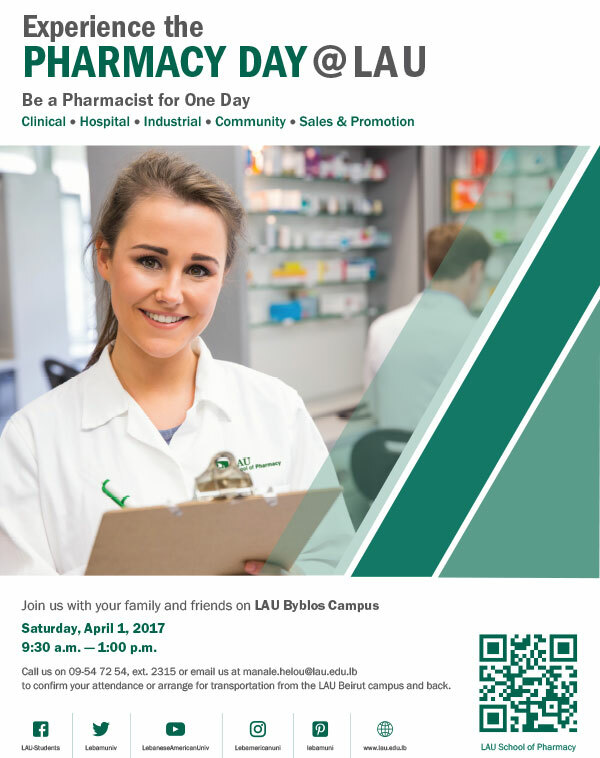 Come to the Byblos Campus with your friends and family and be a pharmacist for a day! Understand the differences between what clinical, hospital, industrial, community, sales and promotion pharmacists do. To confirm your attendance or arrange for transportation from/to the Beirut campus, please call us on 09-54 72 54 ext. 2315 or email manale.helou@lau.edu.lb.